As a pear shaped woman I don’t know why I am drawn to wiggle dresses. 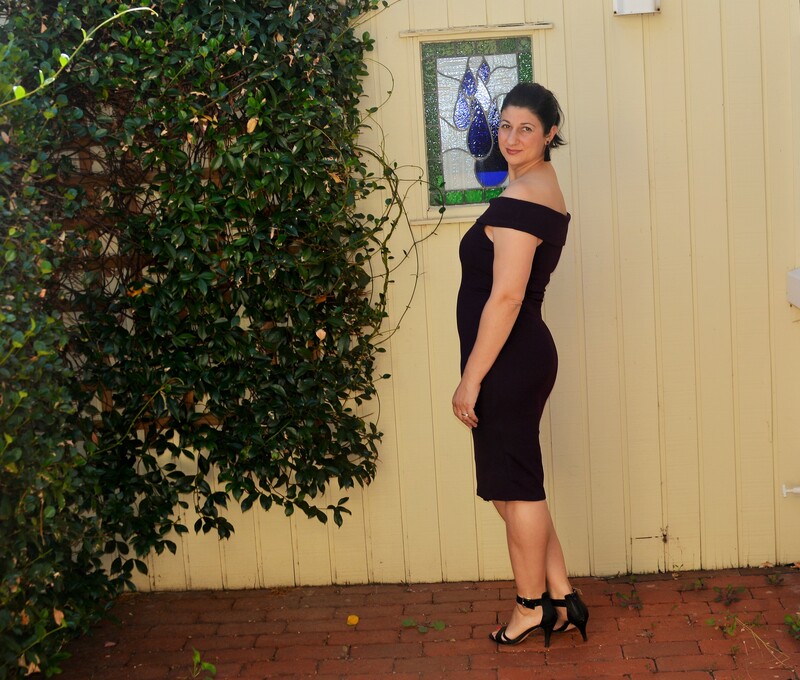 I think mentally I am adding less bulk to my frame this way so have a series of more fitted dresses to blog about. The #204 Ladies Spring Dress by Thread Faction Studio has been released as part of a Sew Fab Pattern Bundle Sale which ends on the 15th April 2019. The way it works is that the more patterns you buy the more you save, and there are some great savings to be had. So I tested* the #204 Ladies Spring Dress in the knee length pencil skirt version, size L. My first version during testing was too tight in a M but also may have been due to my fabric choice. 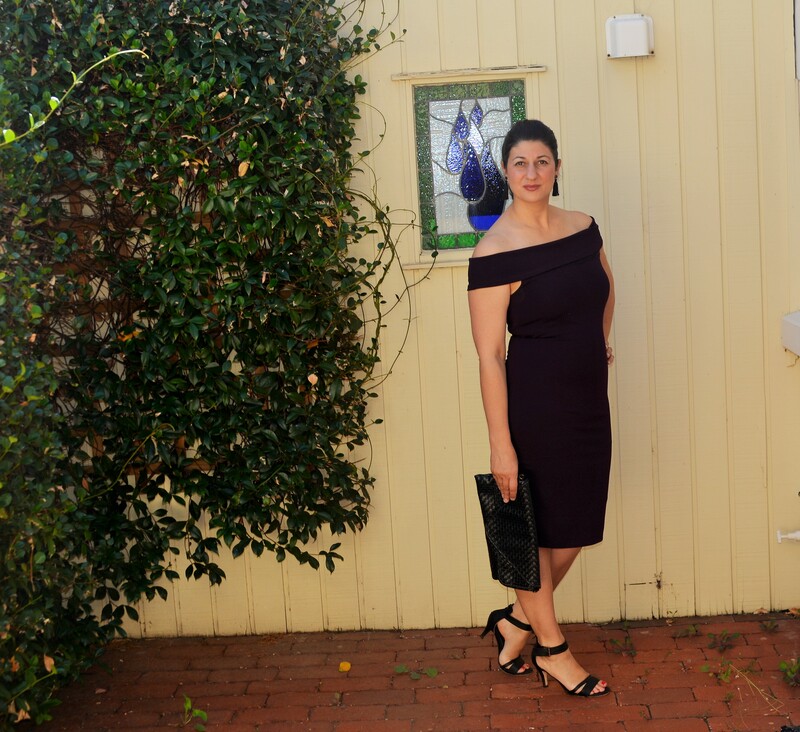 For this version I used aubergine manhattan crepe knit (95% polyester/5% elastane), not a colour I would normally wear but really love it. 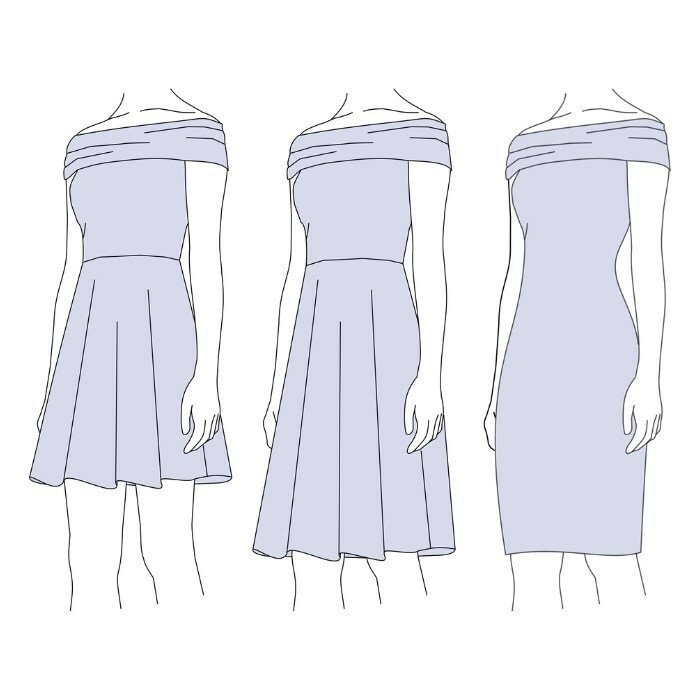 The dress pattern comes in sizes XXS to XXL and is also available as a party length 3/4 circle skirt or knee length 1/2 circle skirt. The bodice is fitted and the neckline is stabilized with elastic, the armholes finished with basic binding, and the cowl and skirt are finished with simple hems. 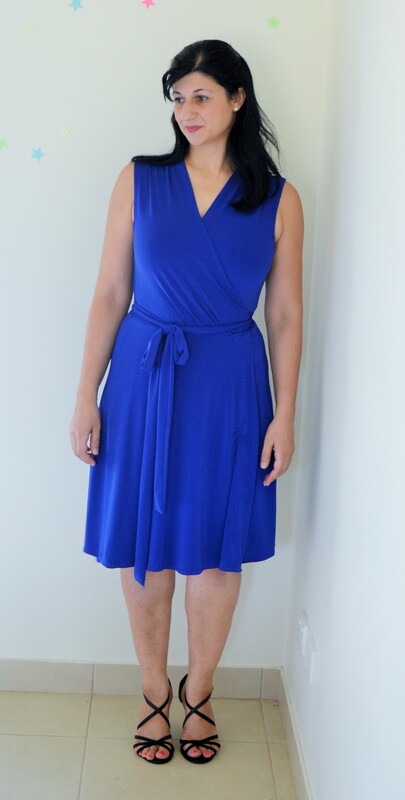 This dress is really quick to sew and is so versatile and can suit multiple occasions. I didn’t make any fit alterations during construction. It’s not at all restrictive across the upper body but I think I will tack down the cowl overlay in a few places as mine has a tendency to roll a bit, again possible a fabric issue as the stretch factor may be a bit low. I think it would also make a really nice formal dress with some shiny/glittery fabric. *The pattern was provided to me free of charge for testing but all opinions expressed are my own and I received a copy of the finalised pattern for taking part..
I’m not one to think of catchy titles and neither do I expect a big following with this blog but this is my own journey about what I make and do and how to get better at it. I got inspired to make a wrap dress because (a) I don’t own one, and (b) I’ve been watching the House of DVF (Diane von Furstenberg) so why not give it a go. I used to be a jeans and top girl but lately reaching for a dress is far easier and quicker and thumbs up for minimal ironing. So straight to sewing. The first make I am posting is a Vogue 8896 wrap dress with bias bodice and a flared skirt. Recommended for moderate stretch knits. I made view A but don’t know how I feel about shorter dresses these days, probably because I spend most of my day chasing rugrats around, although the finished garment isn’t as short as I thought it would be so that’s a bonus. The fabric I used was a stretch crepe knit 147cm wide and I had 2m and used a ball point needle with a regular straight stitch. I cut a size 14 and I’m normally a size 12 (Australian) RTW. I really would like a maxi version of this but it requires 3.7m of fabric and I don’t really need to add to the stash quite yet. It was probably too stretchy for this project however I think the short skirt version stops it from being weighed down too much. Everything went together quite smoothly and I followed the instructions as per the pattern. 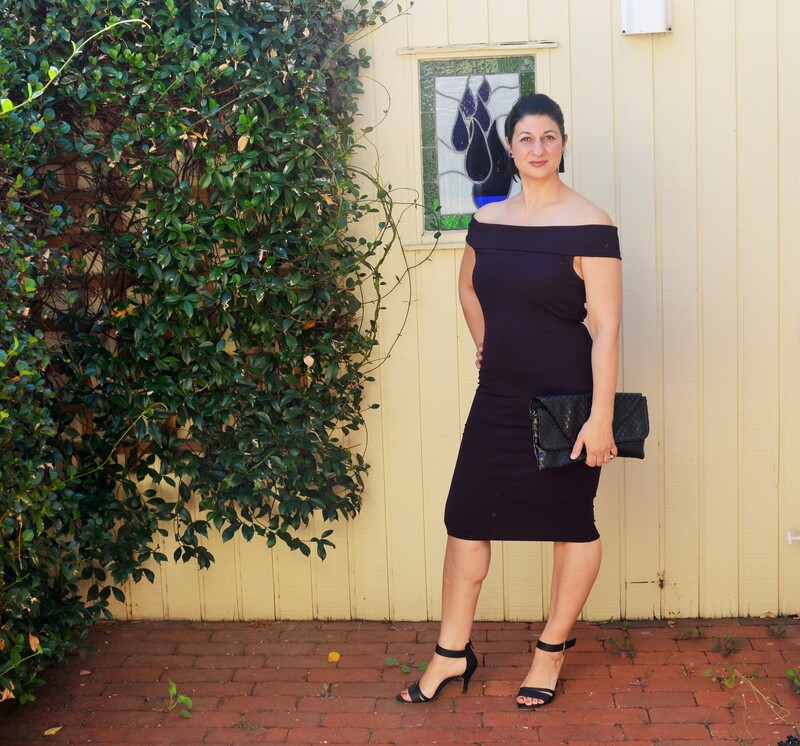 I wasn’t sure whether to make the dress sleeveless or add sleeves and cut them out and basted them on but I thought the versatility of having a sleeveless dress and layering in the colder months might be more beneficial. The fabric is slightly see through however with a slip all is well and also provides assurance that on a windy day the wrap won’t be too revealing although there is quite a substantial overlap. The only thing I’m unsure about is the pooling that ocurrs at the front waistline. Looking at the model the same thing is happening and the only way to smooth that out for me was to pull up the front at the shoulders or tie it really tight (and I admit that I forget to shorten the bodice which is a common alteration for me) but I might remember to do that in the next version rather than tinker with this one as it is still wearable. There is also no fear of flashing as the front overlap is quite big probably as the width of the shoulder fronts are quite wide. Overall I am happy with this dress as it can be worn out with heels and also with sandals for a more casual look. I was thinking as to whether it could be made to be closed with a snap at the waistline rather with a tie so that it leaves more options for belting if made in a different fabric. I am also contemplating making it up in a woven and cutting the front out on the bias. Any comments from anyone if these ideas will actually work? All contents of this blog copyright by tinkerandstitcher © 2014-2019. All Rights Reserved.